Hemp seeds - benefits, nutrition and how to eat them. Hemp seeds are the super nutritional food you should be adding to all your meals. Hemp seeds are one of those “super foods” we hear about all the time – like chia seeds, spirulina, acai, etc. But what makes hemp seeds interesting is that they actually used to be illegal in Australia. Yep, they were only permitted for human consumption in November 2017. So given the super-nutritious food is relatively new here, we had lots of questions. 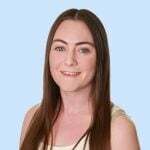 Lucky for us, Be Fit Foods co-founder and accredited practising dietitian Kate Save has shared all there is to know about this interesting food. Yes, you probably guessed – Hemp seeds are seeds from Cannabis sativa, commonly known as the hemp plant. Kate says hemp seeds have a mild and nutty flavour. They’re technically not seeds but nuts, as they contain over 30% oil and approximately 25% protein. What is the nutritional value of hemp seeds? According to Kate, hemp seeds have excellent nutritional value. “They contain all of the nine essential amino acids, are rich in trace minerals and high in dietary fibre. Hemp seeds are also considered a complete protein source – and contain almost as much protein as soybeans! More than 25% of the total calories from hemp seeds are from high-quality protein. “They are rich in vitamins and minerals, containing Vitamin E, potassium, phosphorus, magnesium, calcium, zinc and iron,” Kate says. They don’t call it superfood for nothing! READ: The very best superfoods of 2018, according to a nutritionist. Besides the above nutritional benefits, hemp seeds contain high levels of amino acid arginine, “which has been linked to a decrease in inflammation, and therefore may reduce the risk of heart disease,” Kate says. Whole hemp seeds may benefit digestive health as they’re a good source of soluble and insoluble fibre which promotes healthy gut bacteria and supports regular bowel movements. Kate says the fatty acid content of hemp seeds may also affect immune responses. Why were hemp seeds illegal to consume in Australia until November 2017? Hemp seeds are from the same species as cannabis (marijuana) and we’re illegal to consume until 12 November, 2017. This means they contain trace amounts of THC – the psychoactive compound found in marijuana. But no, they won’t get you high. “For hemp to be considered as a nutritional ingredient in Australia, it had to contain less than 0.5% of THC, now known as low-THC hemp,” Kate explains. “In Australia, hemp seeds may contain trace amounts of THC in the shell, but this is less than 0.3%. 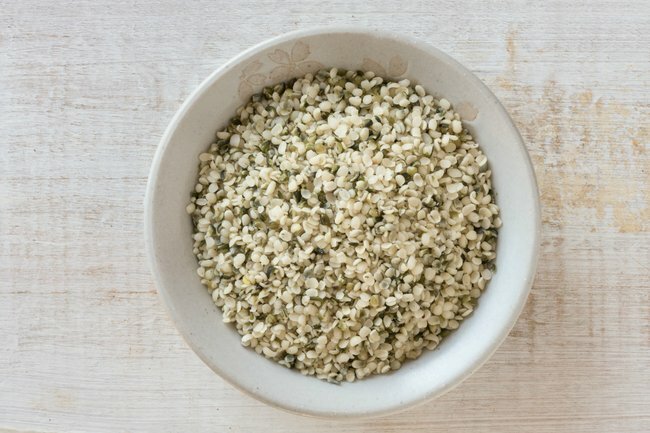 How should hemp seeds be consumed? Hemp is a pretty versatile ingredient that can be easily added to many of your usual meals. “Hemp can be consumed raw as hempseeds, or in one of its processed counterparts,” Kate says. Hemp seed oil is also commonly used as a finishing oil to salads, but should not be used as a cooking oil “as the omega fatty acids can break down during the cooking process, decreasing the nutritional benefits”.